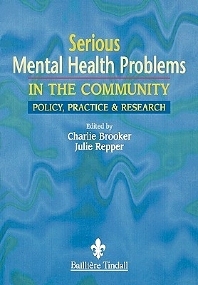 This resource offers a comprehensive, interdisciplinary critical overview of the effect of policy framework, organizational structures, economic issues and the principles of "good" practice in the provision of community services for people with serious mental health problems. Combines research evidence and practical illustrations of approaches and interventions with informed comment on their efficacy and implementation in routine clinical practice. Chapters include key points, case studies, questions for reflection and discussion and suggested further reading.